Why Party with Big Night Out Queenstown? Big Night Out Pub Crawl is the first and longest running pub crawl in New Zealand. We have won more awards than anyone else and have always had the best party team, best deals in Queenstown and biggest prizes to giveaway - all year long. We have amazing ratings, fantastic reviews, even the Queenstown locals love us! Ask anyone! We will blow your socks off with our unique party games and energetic if not slightly crazy Big Night Out party crew visiting the best bars and clubs in Queenstown every week! Not only does Big Night Out include the best deals in all of Queenstown, the actual pub crawl is better value than any other night out – with a professional MC, Nightclub photographer, tour guide & Facebook photos! In addition, to exclusive drink discounts & no cover charges! The Big Night Out Pub Crawl is recognized as the best night out in Queenstown - having won the most awards of any bar, club or pub crawl in New Zealand! There is no arguing that the Big Night Out is truly in a league of its own! We recruit only the funniest, energetic & social people in Queenstown to work on our Pub Crawl! Each night with us is a unique experience – with over 100 hilarious & exciting party games in our locker hosted by our talented MC! Big Night Out is the largest pub crawl in New Zealand every single week & it only gets bigger on the weekends & special events! There’s a good reason why we named it BIG NIGHT OUT! Not only are our team lots of fun to party with, but they are highly trained in making sure you & your friends experience your Big Night Out in Queenstown safely! With a dedicated first aider always on duty & fully qualified management, we will get you from A to B safe & sound! 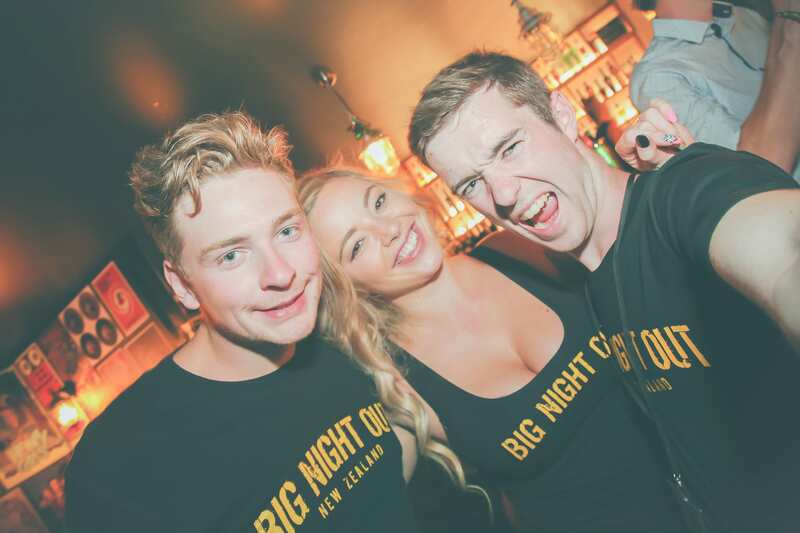 Just a heads up, Queenstown loves Big Night Out Pub Crawl! Take a look at our Facebook to see our customer reviews & experiences! The highest reviews and most Facebook likes in Queenstown- Check them out for yourself! Our professional photographer captures all the action throughout the night so that you & your friends can tag yourselves on Facebook! There is some truly hilarious shots every week, but also so lovely ones of friends having a great night!